This is a novel about first contact with another sentient species, the Moties. 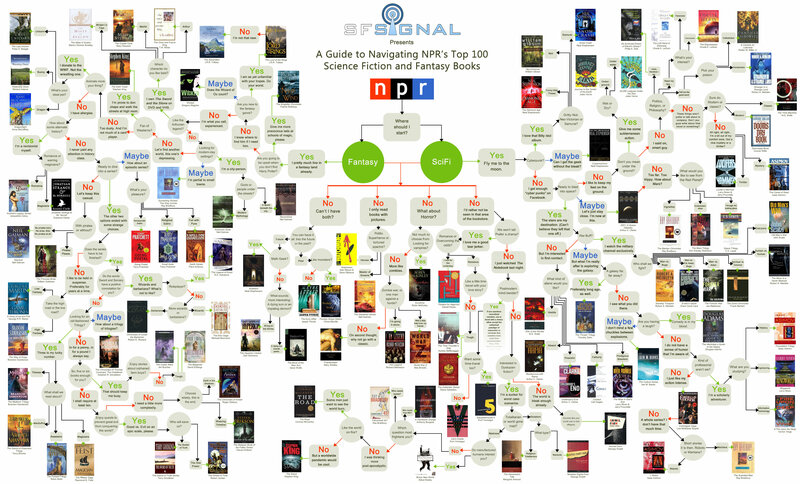 I ended up reading it because of this handy chart that helps your choose which popular sci-fi book you should read. Overall I liked the book. I miiiiight re-read it. Not great, but a good read. This alien race has some rather interesting features ---although maybe constraints is a better word for some--, some of them not really believable, but nothing that makes the book inedible. Things like the mechanics of travelling between star systems of this universe are quite interesting. Even more so is the depiction of the politics of that first contact: deciding what you want the other race to see, what don't, why do or do not, and how to get your population to play along with the charade; in the book you get to see that from both the Motie and the human side. Also, the plot twists are really really good: unexpected, yet congruent with the story. But, the thing I liked the most was the discussion of a particular aspect (I would dare say central) of the Motie's psychology: Crazy Eddie. For a variety of reasons, hope is something the Moties feel very rarely, and express even less. It is not frowned upon, but at least is considered very weird/unusual by them. So, when the Moties talk about certain things, like their sending a hibernating Motie in a space probe to the nearest habitable star system (which they suspect is inhabited, and actually is, by humans), in a trip of hundreds of years, in order to establish contact, or about that particular point in space in their star system which might allow them to travel instantaneously to the closest star, but from which none of their ships has ever returned (because the endpoint for that trip lies inside the closest star, and their ships are immediately destroyed upon arrival), they refer to those things not with adjectives (such as hopeful), but reaching for an archetypal Motie they call "Crazy Eddie", who in their stories is prone to that kind of behaviour. So you have the Crazy Eddie probe, the Crazy Eddie point, etc. They also say that about plans, ideas, and even certain Moties: that's Crazy Eddie, he's Crazy Eddie, they are Crazy Eddie. But humans are also Crazy Eddie, all of them. It's only after seeing many times how the Moties use the expression "Crazy Eddie" that it dawns upon you they are talking about hope. Regardless of all their technology, advanced social and intellectual capabilities, they are not given to attempt things based (to a large extent) on hope. To feel/believe something that (quoting from Wikipedia) "serves as a promise or reason for expecting a better future". Their biology forces them to live an eternal cycle of development, overpopulation, and catastrophic war; you can't really blame them for not expecting a better future, and for mocking those who do, and labelling them and their ideas "Crazy Eddie". That's what I liked the most from the book: learning how they feel about hope by the very absence of that concept in their language, and watching them getting "infected" by hope from the visiting humans that interact with them. Just as as side note, in this universe, the Russians and the Americans seem to have ended the Cold War not by attrition, but by joining forces/becoming a single government. I don't remember if the authors explain that explicitly in the book, but it becomes quite obvious when you see characters with last names like Kutuzov, and when you see spaceships called MacArthur or Lenin.